Over the past 6 years Marty Bright has taken his individual brand of physical and observational hybrid comedy across Australia and is a regular on the top stages in the country, sharing microphones with the likes of Dave Hughes, Fiona O’Loughlin, Matt Okine, Steve Hughes, Luke Heggie and Neel Kolhaktar to name a few. 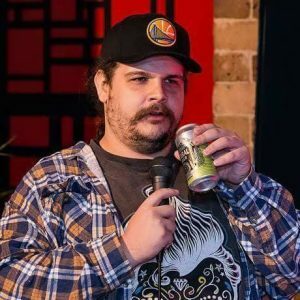 He has been part of Sydney Comedy Festival , Melbourne International Comedy Festival as well as being hand picked for the prestigious Breakout Showcase, FRESH (Artists to Watch) and Sydney Comedy Festival Roadshow. 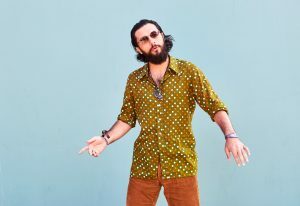 A self professed hippy-ish silly billy, Bright has his quirky view on the world to international stages as far and wide as Los Angeles , New York, Las Vegas, Toronto, Montreal, and New Zealand. 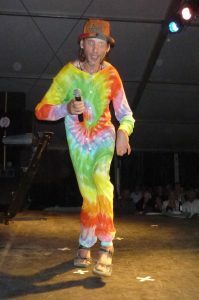 Marty Bright has crafted out is own niche performing at alternative music festivals such as Nimbin Mardi Grass, Burning Seed, Festival of the Sun and many more. Performing with no shoes , in the woods seem to be one of his strong suits. Lachlan is a perfect example of a strict religious upbringing completely backfiring. Totally irreverent, but also very relevant. Two-handed stand-up comedy – where two comedians are onstage at the same time – is a bit of a trick. It takes a special relationship. 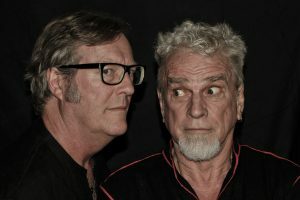 With Glover & Sorrensen you get two blokes and comedy tailored to the festival audience. It’s unpredictable, hilarious and excitingly live comedy – in stereo. This makes every show unique. The audience is a big part of the fun. They help create the show. Glover & Sorensen have performed their shows at the National, Illawarra, Cobargo, Woodford, Port Fairy, Yackanadandah, Yungaburra, and Kangaroo Valley Folk Festivals as well as clubs and pubs all over this wide, drying land. If you have never seen Tommy Dean you are genuinely missing out on a master of the comedy language. He seems to see life as an enormous equation in front of him and solves it in an instant, with a mind-bending laugh. You would no doubt have seen this guy on countless TV shows such as Spicks and Specks and Good News Week. He has also been the main chair on ABC Radio program TGIF every Friday for over a decade. 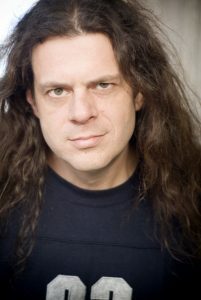 Tommy’s astute clean observational comedic style consistently makes him a stand-out winner with theatre audiences, corporate clients, festival producers, TV and radio shows alike. 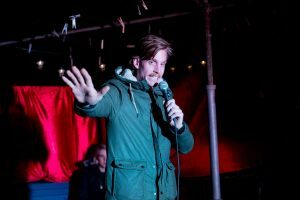 With pin-sharp banter, genial manner and a vast stock of broad-appeal hilarious routines interweaving the foibles of his adopted home country with the dark reality of his home country, Tommy never fails to connect with and impress any audience. 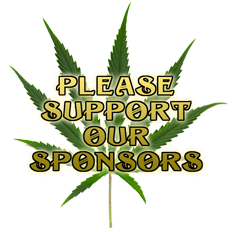 The loveable Brit Kyle Legacy is back for his 4th year in a row to host weed laughs! Making his T.V debut on Russell Brand’s hit show ‘Brand X’ in 2012, Legacy has been onstage ever since. 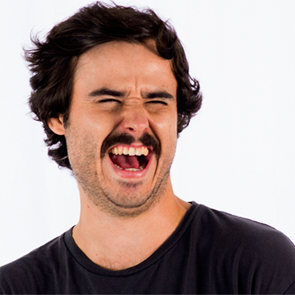 Born & raised in Liverpool, UK he now resides in Australia and tours with the popular comedy collective ‘Laugh Mob’. More commonly known as ‘The crowd work King’ Legacy has been crushing the Australian Comedy circuit and making appearances at every major festival around the world. His credits include opening for Erik Griffin (Workaholics) and is also a regular at the comedy store, Sydney. Most recently Sold Out Edinburgh fringe festival 2017! 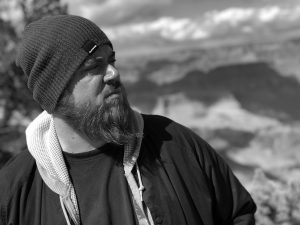 Patrick Melton has always used his unique observations coupled with a quick, biting wit to make those around him laugh. With a skewed world view, a wry smile and an unapologetic delivery, he weaves real-life stories with raw crowd interaction to give audiences a performance that is uniquely hilarious. 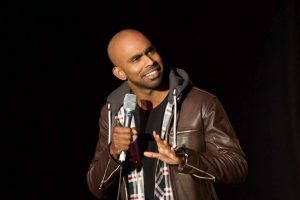 Patrick has performed and written for some of the biggest names in comedy, and in 2013 was named a national Semi-Finalist in Comedy Central’s Up Next competition. He has appeared on Sirius XM satellite radio, Spike TV, VH1, and The Bob & Tom Show, in addition to entertaining military men and women in the Middle East an Africa traveling with the USO. Patrick is the creator and host of the award-winning comedy podcast Nobody Likes Onions, available at nobodylikesonions.com. One of the longest-running comedy podcasts still going, Patrick and comedian guests from around the world have been making listeners laugh since 2005. Steady Eddy was diagnosed with cerebral palsy when he was nine months old. Some people think this is the reason he didn’t learn to walk until he was five, but, when asked about this, Steady shrugs his good shoulder and says, “I was just pacing myself.” Humor has always been a huge part of his life. It was a coping mechanism to tackle life’s little hurdles. And he did it well. Steady has become a huge stand-up star. But he realises there must be more to life. He’s started wearing tie-dye and hemp undies. He just wants to live in peace and harmony with his fellow humans and Mother Earth, and do his thing at MardiGrass.